HIAWASSEE, Ga. – Election day has come and gone, and the deadline for provisional voters to prove eligibility in the general midterm arrived today. 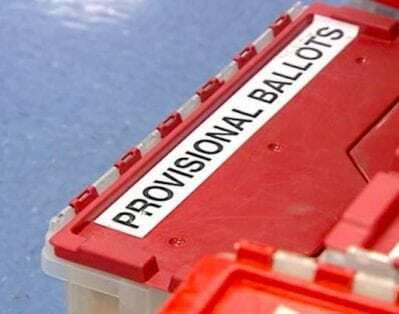 Towns County Board of Elections reported that of the nine provisional ballots cast in Towns County, all were submitted out-of-precinct, meaning that nine local votes will not increase the state sum. 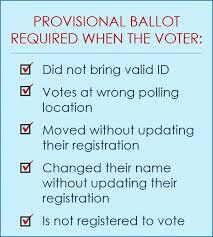 When a voter’s eligibility is in question, a provisional ballot is used to record a vote in Georgia. FYN was at the Hiawassee election precinct when one such provisional voter arrived at the polls, minutes before the closing bell on election night. After exiting the ballot box shortly after 8 pm, a man who identified himself as Sunni Wolfe agreed to speak on-record with FYN’s reporter. 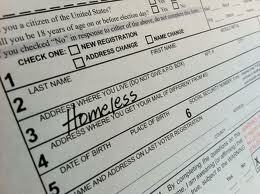 Wolfe, who could not produce identification for poll workers, claimed to be homeless and living at an undisclosed campground in the Towns County area. Wolfe explained that he left the metro Atlanta area five months prior, and did not have a local address to register. Wolfe was provided a provisional ballot by election officials, and when asked by FYN, voiced no issue with the process. A record request obtained on Nov. 8 revealed that Wolfe was registered in Fulton County, however, resulting in a futile Towns County vote. Election official Kathy Norton imparted that additional out-of-precinct voters arrived at the Young Harris polling location on election day, including a student attending Young Harris College who claimed that he had received an email stating that his vote would count regardless of a lack of local registration. According to Norton, each voter was provided with a provisional ballot.